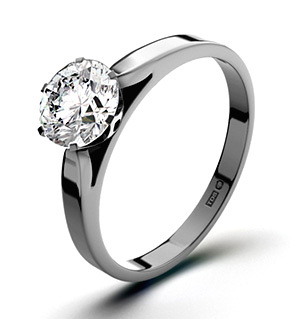 Item UT23-322IXU4S - A spectacular Low Set Chloe Platinum Ring for £6599.00 in Platinum. 1.00CT of G/VS2 quality Diamonds. KARIS Sky Blue Drusy Ring, Platinum Bond Size O 5.000 Ct.